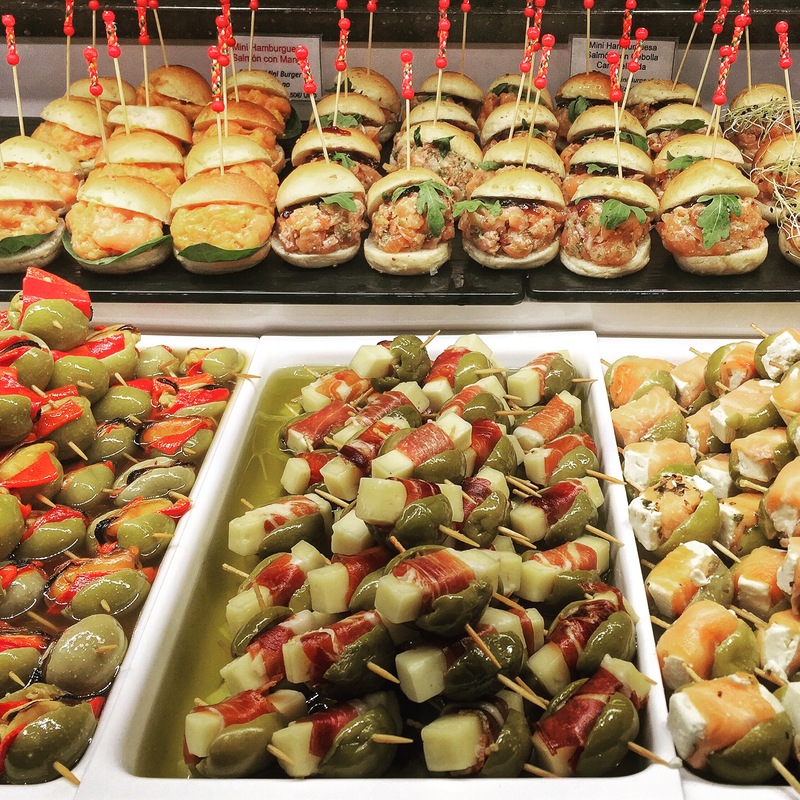 Pintxos, also known as pinchos or tapas, are typical Spanish bar snacks. These beauties are from Pintxoteca Orkestra at the Platea Madrid food hall – largest gastronomic center in Europe. It includes a theater, bar, restaurants and a club.